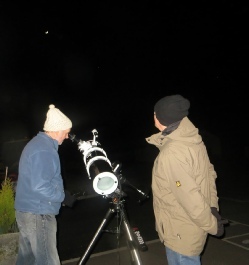 Reeth Informal Astronomy Group are a small and friendly group which started following a local Skill-share meeting in April 2013. Our members are mostly based in the Northern Yorkshire Dales, in particular Arkengarthdale, Swaledale & Wensleydale, but we welcome people from further afield if they wish to join us. The group covers every level from absolute beginners with no equipment whatsoever to those with a modest amount of experience of using small to medium sized telescopes. Our common aim is to learn together, and everyone is welcome. 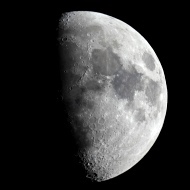 We have a regular meeting on the second Monday of the month at Unit 14, the Dales Centre, Reeth, DL11 6SP to discuss current astronomy news, exchange ideas and expertise and to observe the night sky when it’s clear. Our next meeting will be on Monday 13th May 2019 and will be held at Unit 14, the Dales Centre, Reeth, DL11 6SP, meet at 8:00pm. During the winter we also hold observation and astro-photography sessions on the fourth Monday of each month, plus additional impromptu sessions when the opportunity arises. As these sessions are very dependent on the weather conditions please contact either MikeE or MikeW (see contact page) to see if they are going ahead and the location.